Tax and Superannuation Laws Amendment (2015 Measures No.3) Bill 2015 that proposes a 1.5% cut to R&D Tax Incentive rates passed the House of Representatives and is now being considered by the Senate. The Bill is a reintroduction of previous legislation stalled in the senate which also proposed a uniform reduction of 1.5%. The basis for the previously proposed reduction of the R&D Tax Offset rate was understandable given that there was due to be a uniform drop in the company tax rate to 28.5%. 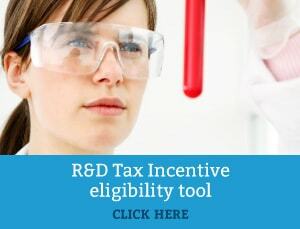 The rationale for this was also reflected in last year’s budgetary material which stated “the Government will preserve the relative value of the of the Research and Development Tax Incentive by reducing the rates”. The Reduction in the R&D Tax Rate is due to apply for FY15, whereas the drop in company tax rate for very small companies is due to apply for FY16 (ie one year early). This again contradicts the original rationale for the reduction in the R&D Tax Offset which pledged to “preserve the relative value” of the R&D Tax Incentive. For more information please contact us or call 1800 792 676.